If you’re in a hurry and looking for the best twin mattress for toddlers, then the Linenspa Hybrid Mattress is the best one. Finding the right toddler mattress can be extremely tricky. 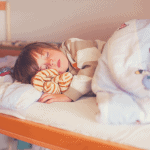 It’s no secret that kids experience tremendous growth and several other benefits during sleep. 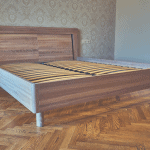 The type of mattress they sleep on can make a huge impact on the overall quality of health. A child that gets a deep and restful sleep on a regular basis wakes up cheerful, active, and happy. This can make the parents and the whole family joyful. While you may want the most comfortable model on the market for that beloved little one, the small nature of their bodies means finding the perfect blend of support, functionality, and safety can be far from easy. The fact that there are many types on the market can also make the shopping process more stressful, especially if you don’t know exactly what to look out for. Our comprehensive best twin mattresses for toddlers reviews below features the top and latest models on the market. These reviews are designed to make the buying process as easy and stress-free as possible without compromising on quality. Feel free to glance through and buy smart. Your kid deserves the best of everything. Therefore, if you’re looking for the best twin mattress, here are the most important factors to consider. The choice is absolutely clear. A twin mattress is the right one for your toddler who’s just moved from a crib and going into his or her first real bed. Twin-sized mattresses are designed for comfortable sleeping until kids hit their teens. In most cases, a lot of teenagers stick to twin mattresses until they’re about to go to college. There are several reasons why you should opt for nothing more than a twin. Firstly, this bed size is perfect for the small, delicate bodies of toddlers. The fact that they won’t be outgrowing these mattresses anytime soon makes it an attractive option too. 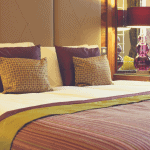 Also, the best twin beds are affordable and can be snapped up without making a serious dent in your wallet. This is why every single one of the toddler mattresses reviewed here is twin-sized. Additionally, these mattresses come with smaller footprints which takes less space and this makes them a great fit whether you live in a regular or trailer home. Kids might be heavy sleepers naturally but only when they’re sleeping on a comfortable mattress. Just as adults suffer through the night and wake up irritable when stuck with a bad mattress, so do kids. Children who receive anything less than quality sleep usually exhibit signs such as bad moods and tempers as well as diminished academic performance. Toddlers who’re robbed of quality sleep also show behaviors ranging from tantrums to clumsiness as well as hyperactivity and the inability to focus. Why would you want anything less than stellar sleep for your young child? The best mattresses for toddlers deliver the right level of firmness for them lie down and enjoy sleeping without any form of pain in the morning. Support works hand in hand with comfort to deliver quality sleeping for your child in a mattress. A model that is designed to deliver proper alignment for your kid’s spine should be sought during the shopping process. This is important to promote the optimal growth of children as well as prevent susceptibility to spinal injuries and problems in the future. Kids can be prone to allergies and dust mites have proven to be one of the most popular triggers. 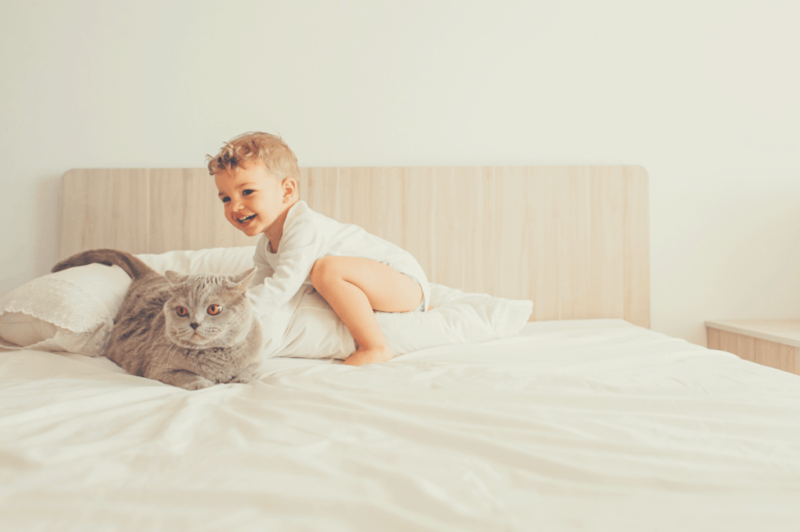 If your child has proven allergies then shopping for a mattress manufactured from natural products such as Latex can be a smart way to keep them in check. Alternatively, you can look out for memory foam models with anti-dust mite, anti-mold, anti-bacterial, and other hypoallergenic properties. Memory foam is notorious for producing a very strong smell when new. This smell can last anywhere from a couple of days to a week or two. If your child is sensitive to strong smells (most kids are), it is important to only purchase models which are CertiPUR-US certified because they tend to give off little to no smell at all. In fact, it is advisable to let your child pitch camp in your own bed for a few days while you leave any new mattress to air out to eliminate any smell. The best twin mattresses for toddlers come with price tags hovering around the $100 mark. In as much as you may want the best model for your kids, spending $500 or more on any model regardless of features advertised by the manufacturer may be overkill. The extra savings can be put to better use in other areas of your toddler’s life. Many kids within ages 1-3 wet their beds. When choosing a toddler mattress, it is always important to take this into consideration and find the right model that can provide the right level of comfort for your little one. The LINENSPA 8 Inch Hybrid Mattress keeps your precious toddler sleeping all night long. It features the most innovative memory foam material augmented by the renowned support of coiled springs. This results in a luxurious medium-firm mattress perfect for children’s bedrooms as well as guest bedrooms and other areas of the house. The mattress cover is engineered with a soft quilt knit fabric that adds an extra layer of coziness upon making contact with kids’ skins. We all know that young children have very sensitive skins so this feature is a welcome addition. Just beneath the cover is a 1.5-inch layer of plush memory foam crafted to relieve the body of the most nagging pressure points. This essentially means your toddler wakes up fully recharged and literally ready to conquer the world again. Buy the LINENSPA 8 Inch Hybrid Mattress if you desire the best sleeping experience for your toddler son or daughter. This toddler mattress is renowned for its wide range of integrated features which has made it a huge hit among parents searching for the perfect mattress. Kids love nothing less than a bouncy mattress and the quality Adaptive foam used in the manufacture of this model provides more bounce than your precious one will ever need. 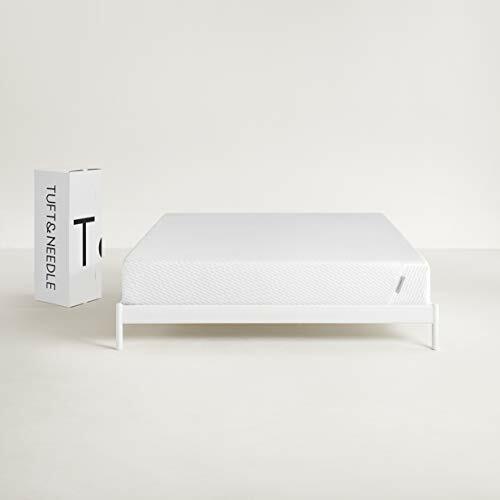 The Tuft & Needle Twin Mattress sleeps really cool especially during the summer when night temperatures can become unbearable. This eliminates the need to turn on the fan or AC which could end up being too cold for the child anyway. It is perfect for all sleeping positions and can be lifesaving as toddlers experiment between sleeping on their sides, backs, or tummies around this age until they settle on a definitive position. If you’re looking for an awesome mattress with more bounce and just the perfect degree of sink-in for your little ones, this is it! The Signature Sleep Contour Encased Coil Twin Mattress is another popular model on the market right now. The top features a soft, breathable knit fabric which keeps even the sweatiest kids cool all night long. This mattress is suitable for all sleeping platforms including bunk beds, trundle beds, platform beds, daybeds and box springs. 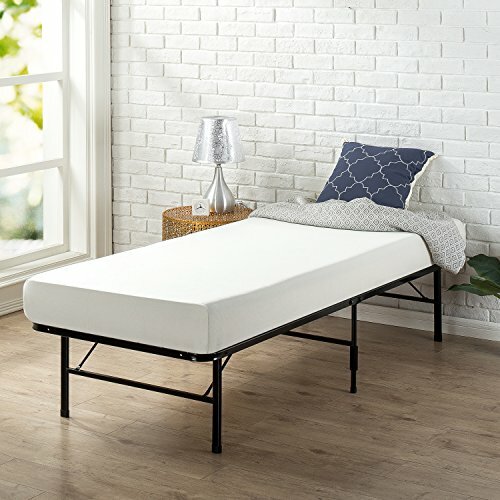 CertiPUR-US has verified that every single inch of foam used in the manufacture of this mattress is free from harmful chemicals such as formaldehyde, mercury, ozone depleters, lead, and heavy metals. Therefore, you can buy in confidence knowing that your child’s health won’t be at risk from sleeping on this toddler mattress. It is packed with tons of features to enhance the comfort of people of all ages, including kids. Additionally, this model is reversible which means your toddler can still get a good night’s sleep on a dry bed even after wetting one side. All you have to do is flip to the other side. Order the Signature Sleep Contour Encased Coil Twin Mattress if you’re searching for the best innerspring toddler mattress. This toddler mattress oozes comfort and feels luxurious the moment you lie on it for the very first time. 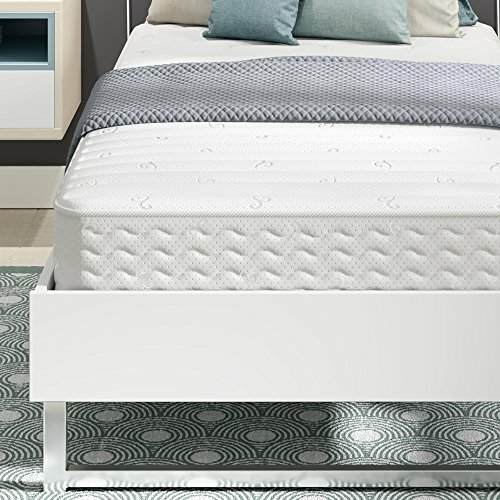 The Olee Sleep Memory Foam Mattress is manufactured with world-class gel memory foam material which provides perfect body contouring to keep your pressure points relaxed throughout the night. The gel material also eliminates temperature accumulation and helps sleepers enjoy a cool, blissful night of sleep on a daily basis. It comes with Oeko-Tex certification which proves that it is free from any kind of chemicals that can be detrimental to the health of children. Also, the fact that this memory foam mattress comes with such an affordable price tag means you can expect true value for your dollars. The Olee Sleep Memory Foam Mattress is a no-brainer if you’re on the hunt for a sleek mattress that can help your child sleep in proper temperatures. 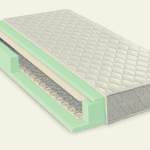 The Zinus Memory Foam Narrow Twin Mattress is another great option if you’ve been scratching your head for the right mattress for kids between the ages of 1-3. The top layer features a washable cover which can be easily removed on a frequent basis to keep your child super comfortable. Just under the cover is conforming memory foam that keeps young kids resting easy night after night. From frequent bedwetting to dirt and other naughty acts, we all know how quickly kids’ mattresses can turn stale. Thankfully, this model comes with BioFoam, an innovative material designed with natural plant oil which keeps mattresses looking and smelling fresh even when put through endless abuse. Zinus offers a worry-free 10-year warranty for each purchase so you can buy in absolute confidence. The Zinus Memory Foam is a must-have if you desire to bring unparalleled freshness to young children’s bedrooms. The Home Life Comfort Sleep Spring Mattress is another top model that features in the best toddler mattress reviews today. It is manufactured from 100% certified GreenFoam with natural components devoid of any chemicals which can be harmful to the health of your kids while helping to save the environment as well. This kid’s mattress also features 15-gauge pocketed coils which have been independently encased for durability and optimum support. Quality foams and polyester are layered between the top cover and coils to provide excellent comfort and ensure that your child can have sweet dreams every night. Whether your kids sleep on bunk beds or have their own separate beds, this mattress can provide the right level of comfort for them. Another impressive benefit of buying this model is the super fast shipping time. When your child is suffering from a worn out mattress, the least he or she deserves is a new mattress that takes ages to arrive after ordering. Snap up the Home Life Comfort Sleep Spring Mattress if you want a plush, long-lasting hybrid mattress for your kids. The Classic Brands Cool Gel Ventilated Memory Foam is a smart choice if you’ve been looking for the ultimate twin mattress for your toddler’s bedroom. The outstanding quality of this model is the enhanced breathability and temperature regulation during the hottest periods of the year. It is engineered to quickly dispose of the sleeper’s body heat which guarantees that every inch of the mattress stays cool during the night. This toddler mattress features 2 inches of the latest gel memory foam to provide proper spinal alignment and pressure point relief. Thanks to the built-in natural hypoallergenic features of this mattress, it is resistant to molds, dust mites, bacteria, and other harmful organisms. Toddlers with various forms of allergies are able to finally gain the necessary relief they deserve. 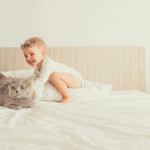 Don’t hesitate to snap up the Classic Brands Cool Gel Ventilated Memory Foam if you’re looking for the best toddler mattress for kids with allergies. The Linenspa Hybrid Mattress is the best twin mattress for toddlers hands down. 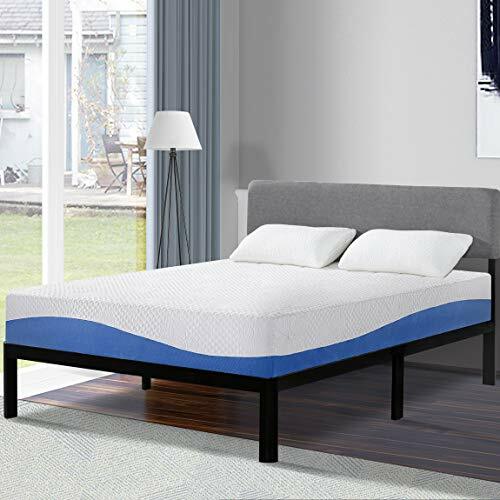 It provides soft comfort in a posh design made of the exceptional contouring qualities of memory foam and the renowned support of spring coils. In fact, your kids will probably fall in love with this twin size in an instant. 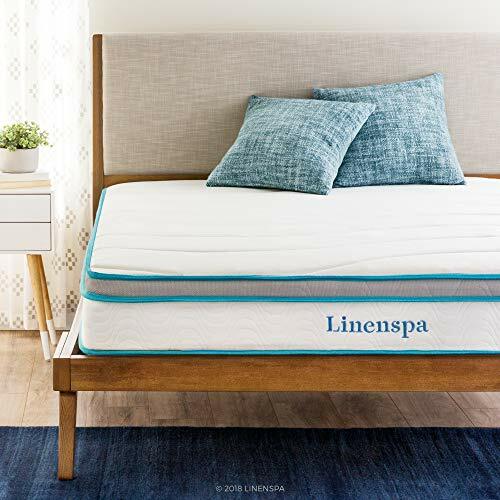 The mattress is available at an economical price and the fact that LINENSPA offers an incredible 10-year warranty against manufacturer defects makes this model an unbeatable choice.